Julie Emery has worked in the pharmaceutical industry for over 15 years. She has 10 years Therapeutic Goods Administration (TGA) experience as Manager of the Client Services and Secretariat Unit in OTC Medicines and Manager of the Australian Register of Therapeutic Goods, as well as 4 years industry experience. Julie has assisted a wide range of clients since founding AEA in 2006. She provides expert advice on the regulation of medicines, medical and therapeutic devices, agricultural and veterinary chemicals including personal pesticides, cosmetics and foods. 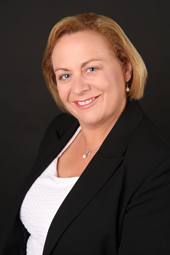 She is also an expert trainer who has run many workshops for Australian and overseas personnel. Julie is qualified in Microbiology, Law and Management (including Technology Management) and specialises in TGA systems, product applications, legislation, labelling and staff training.